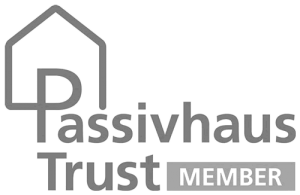 Appointed by Eastlands Homes, to deliver a retro fit to 32 walk up flats and 6 bungalows to achieve the PassivHaus EnerPHit Standard of low carbon energy efficiency. 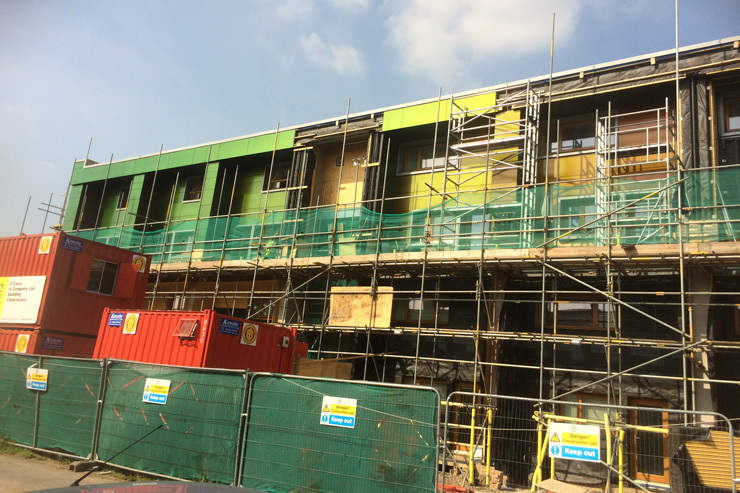 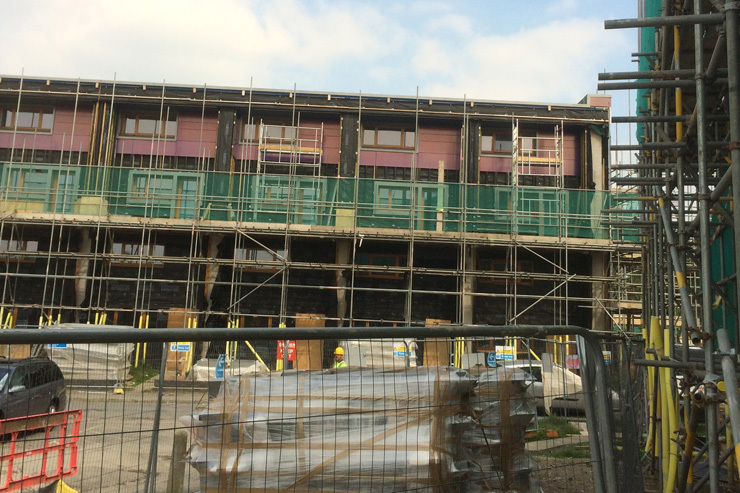 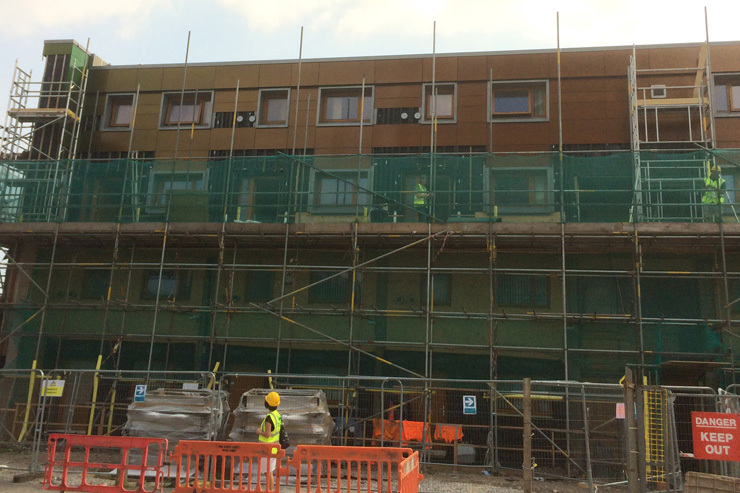 The project involved the removal of the existing inner and outer brick skin and replacement with a super insulated timber frame panel, new roof, new communal boiler facility, complete internal refurbishment, installation of individual MVHR (Mechanical and Ventilation Heat Recovery) Units, and extensive air tightness measures. 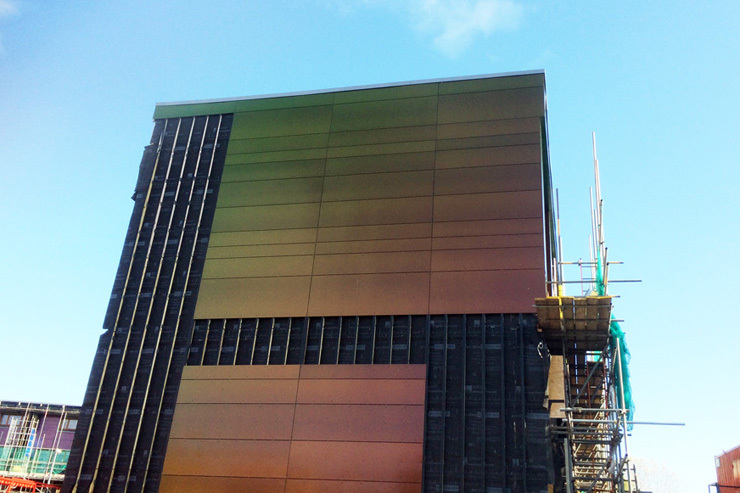 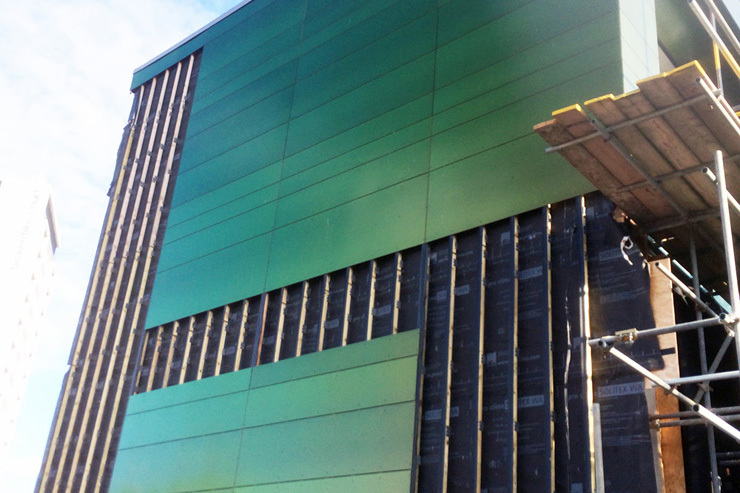 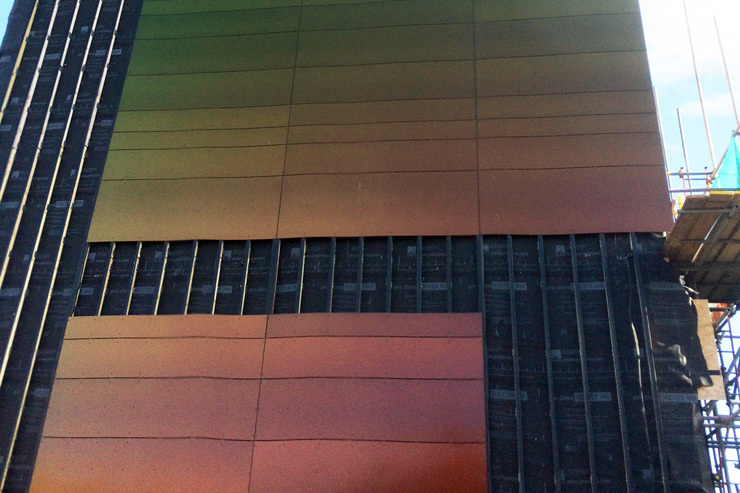 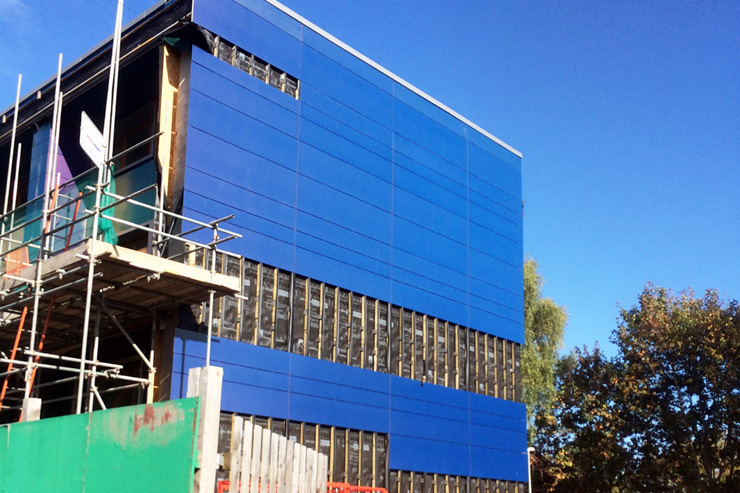 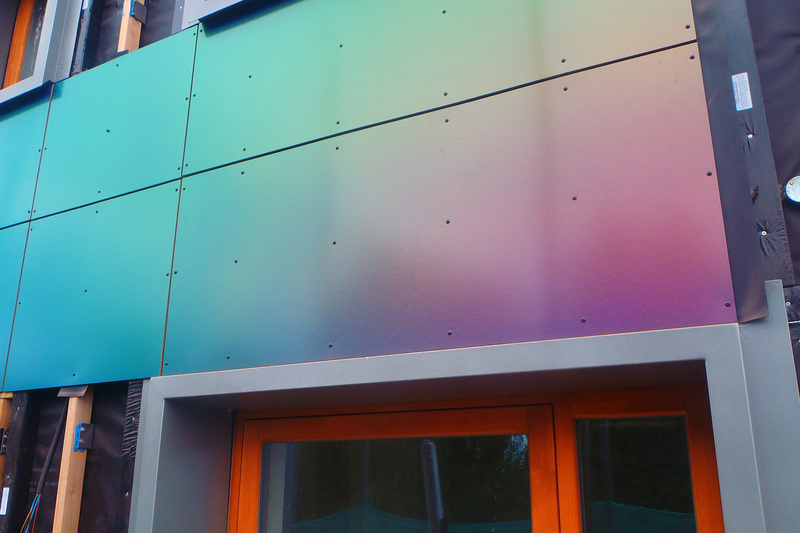 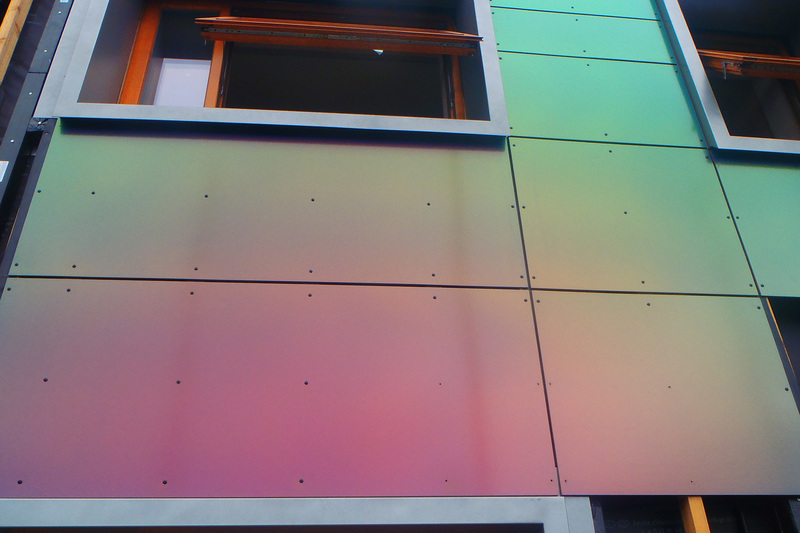 The existing building has been completely rebranded aesthetically by the design of a cladding skin that changes colour depending on the position the façade is viewed from as well as the extent of natural light available. 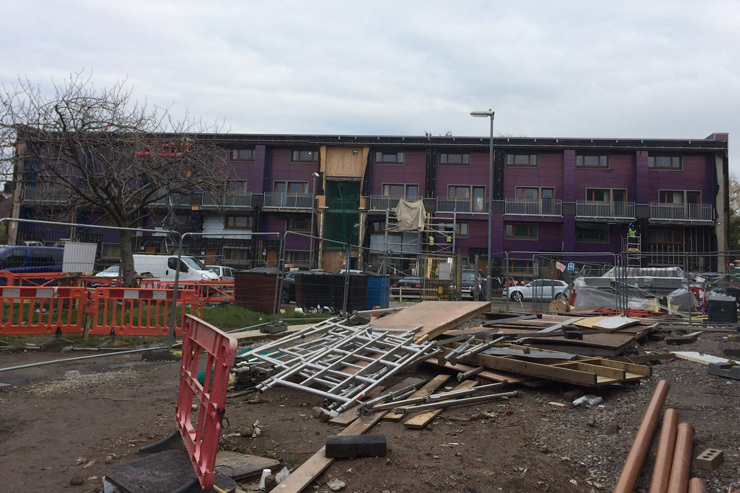 Completing the scheme will be a bespoke landscaped garden for the residents which will incorporate scented flower beds, public art, sun dial, and new seating areas. 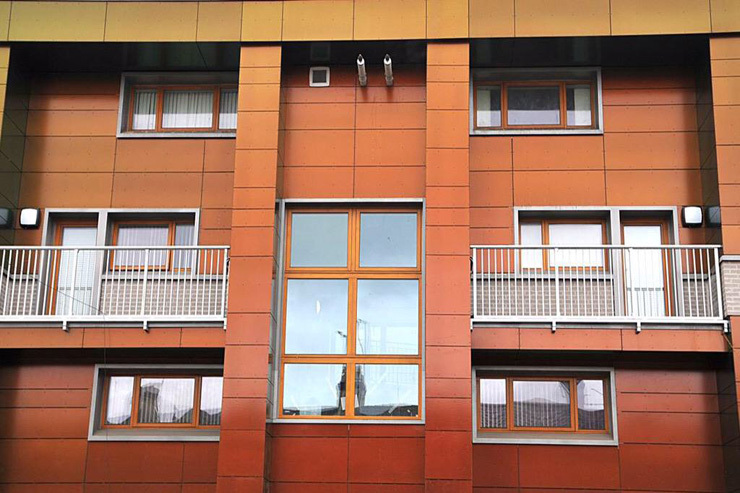 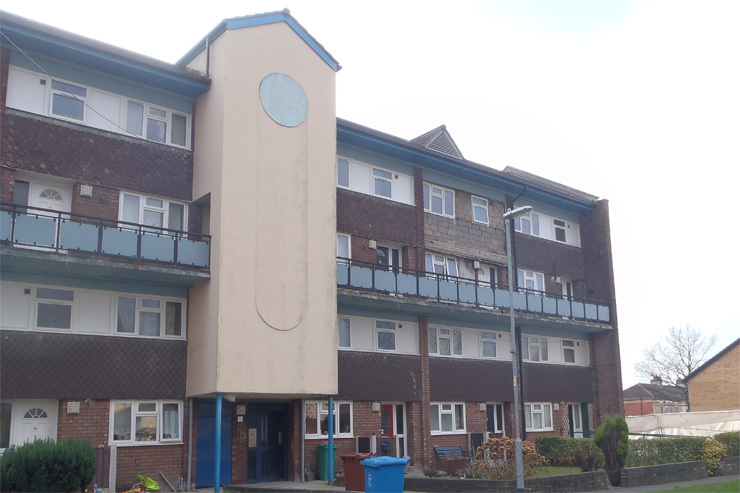 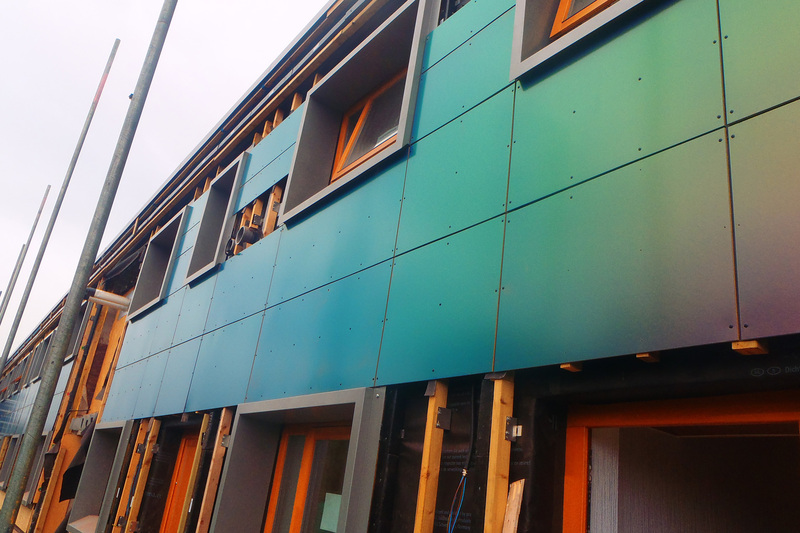 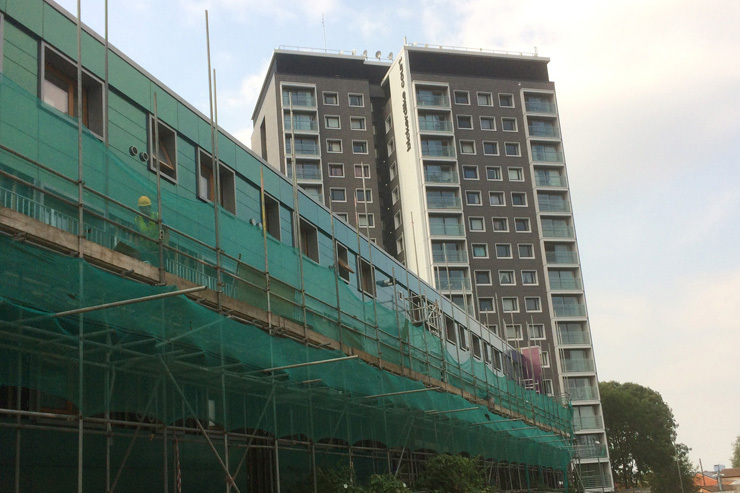 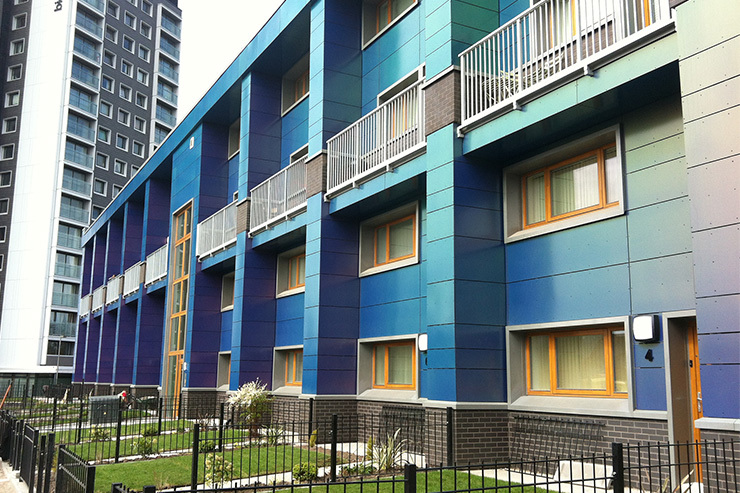 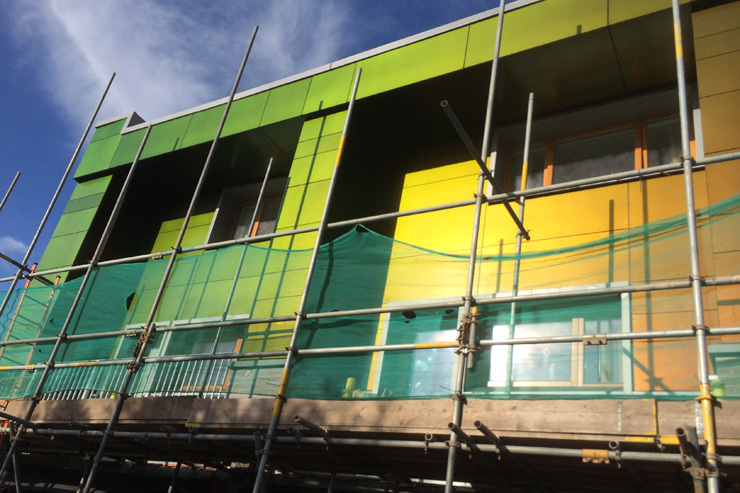 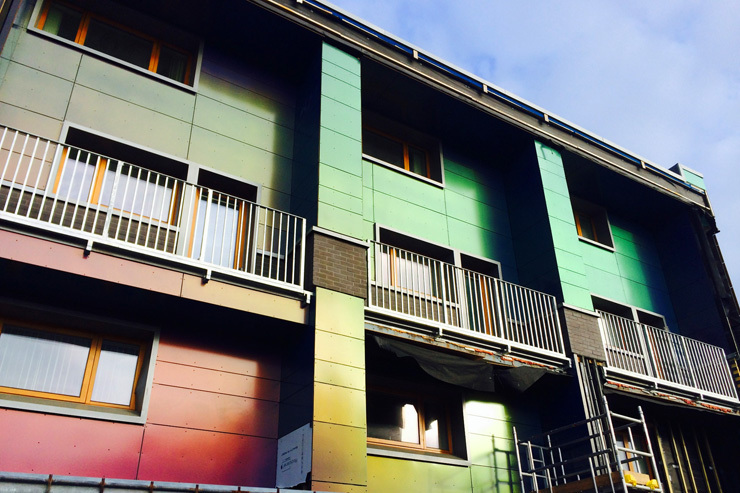 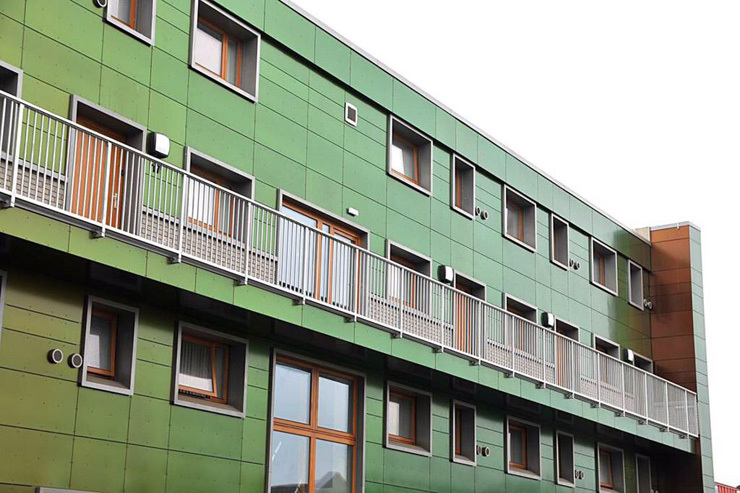 This project is one of the largest retro fits undertaken by any Housing Association to achieve the PassivHaus standard of performance, and will see resident fuel bills reduced by up to 80%. 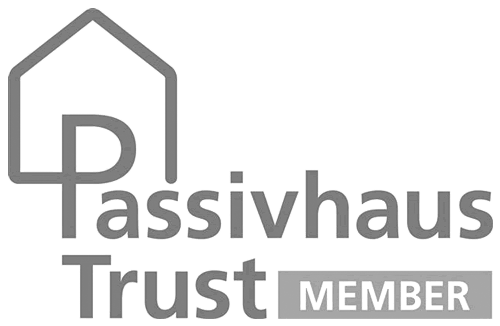 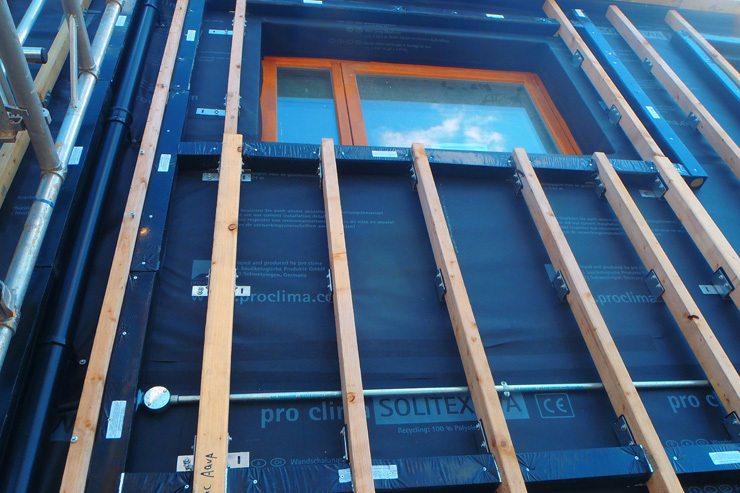 Shortlisted in the Large Projects category of the UK Passivhaus Awards 2015. 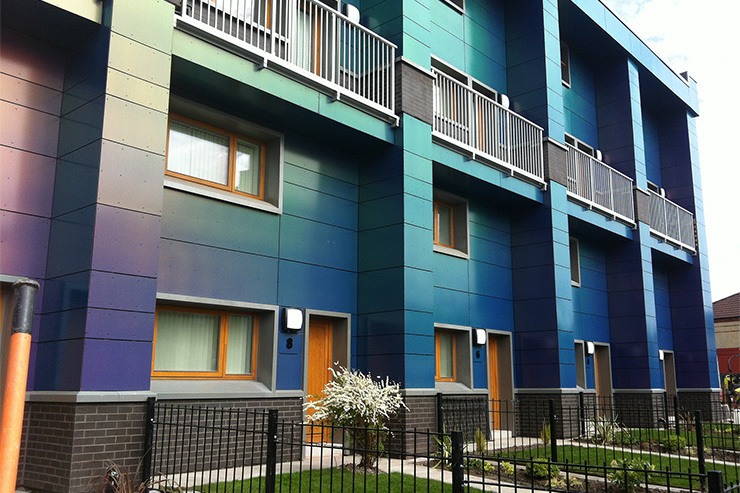 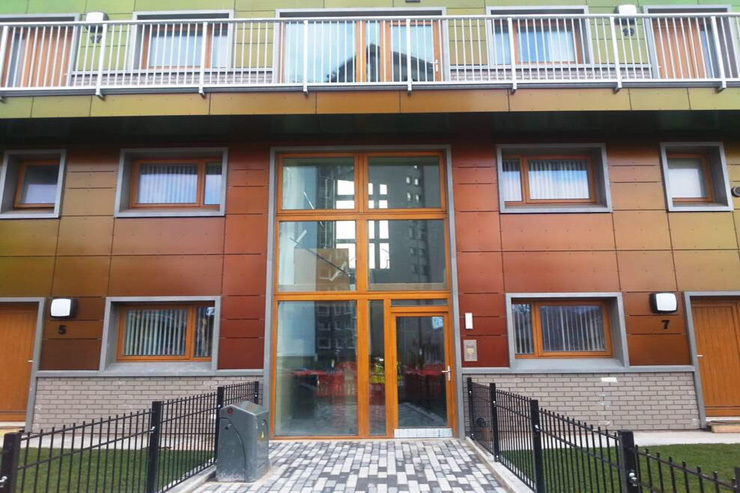 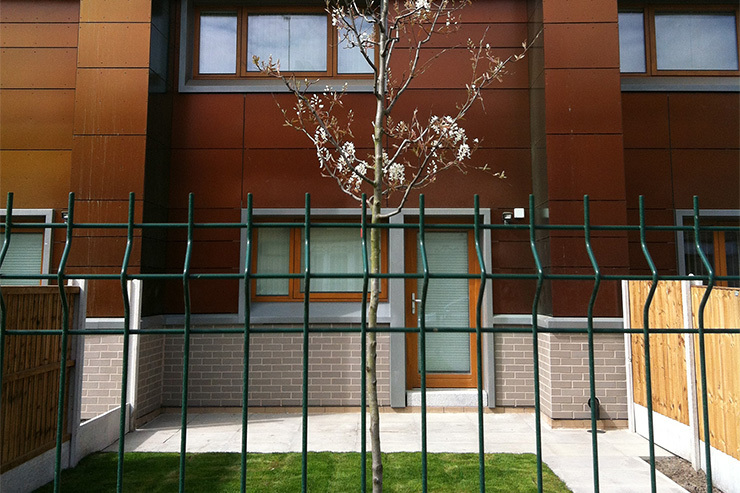 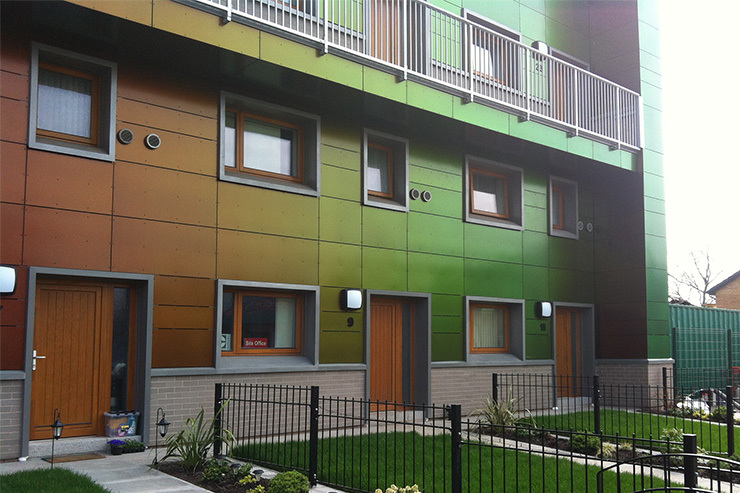 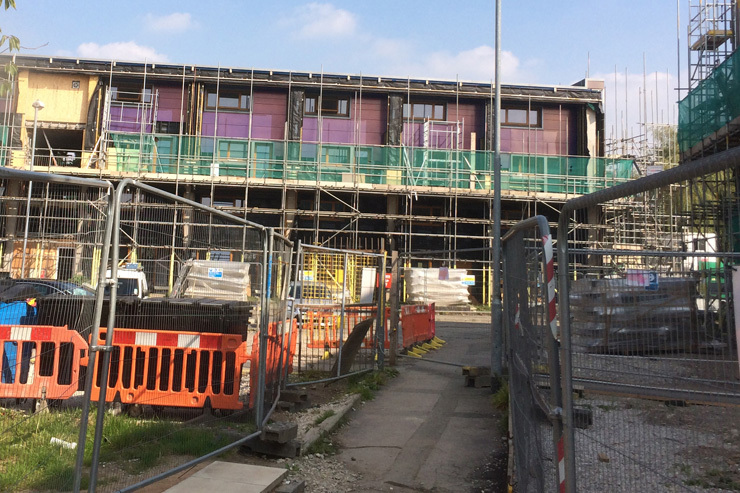 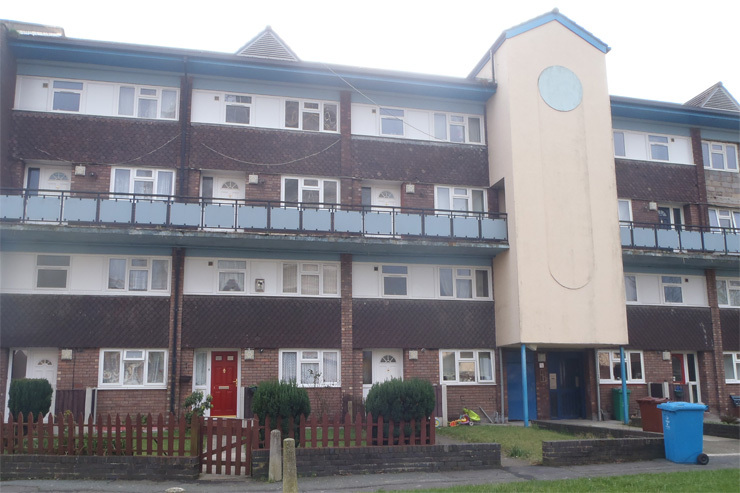 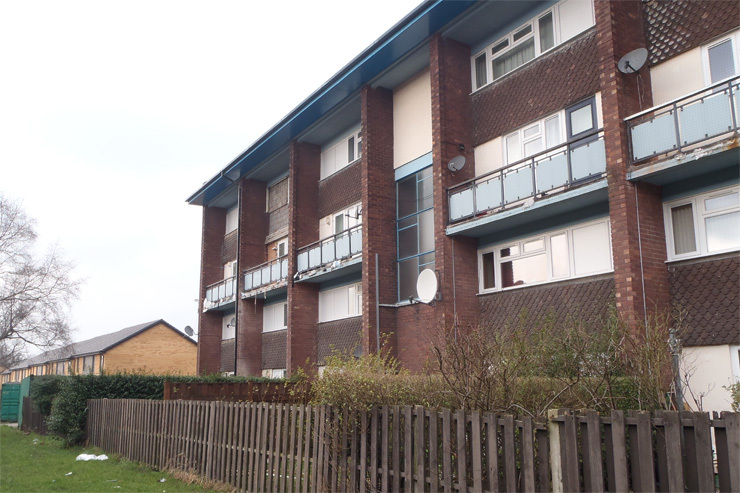 A regeneration of two dilapidated blocks of flats in one of the poorest parts of Manchester, with EnerPHit as a mechanism for creating a sustainable low carbon community.